I love having mini thank you cards to hand. 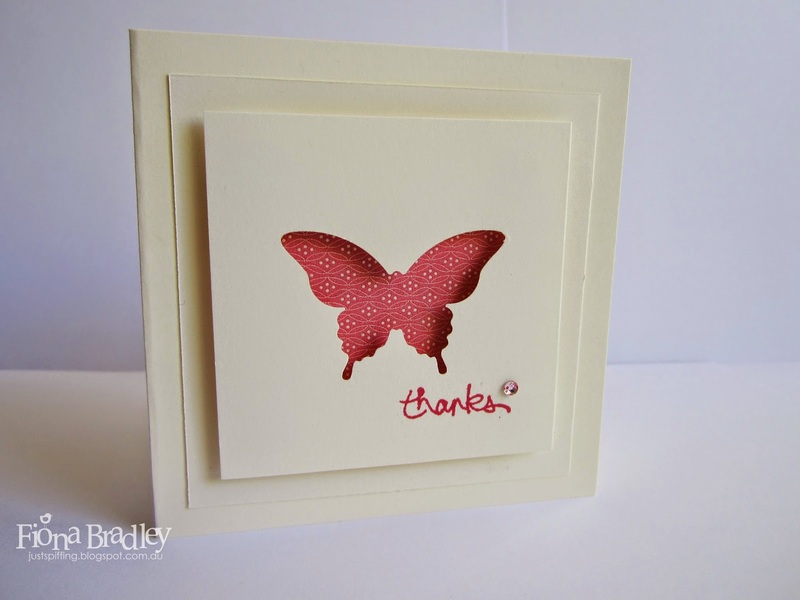 They are perfect for those times when the card itself can say the thanks for you. They are also just the thing when I want to send a note to my customers and workshop hosts. The Very Vanilla card measures 9cm x 9cm. The middle layer is 8cm x 8cm. 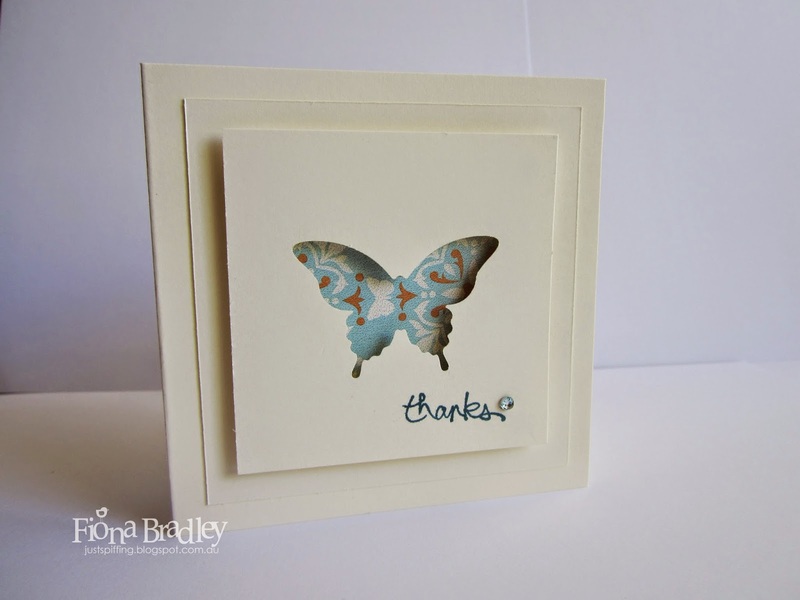 The top layer, punched with the Elegant Butterfly punch, measures 7cm x 7cm. The middle layer was stuck using Snail Tape. 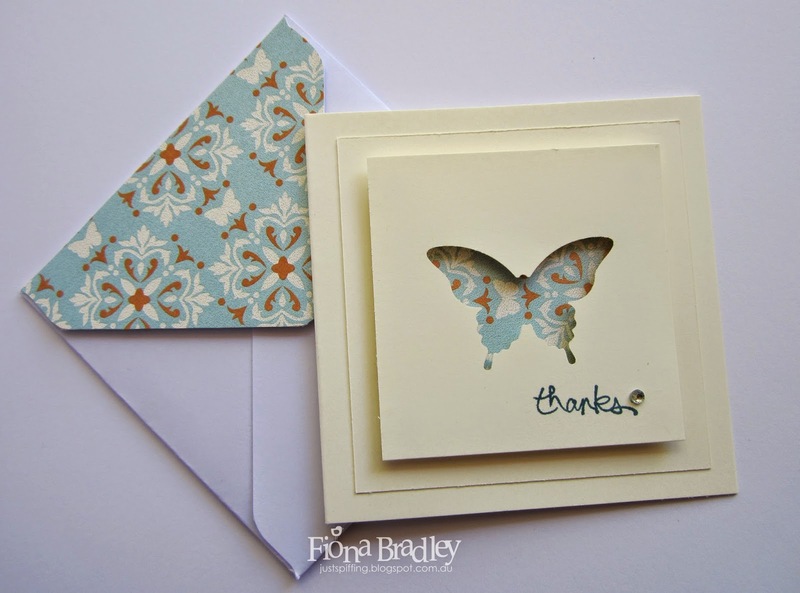 The top layer I popped up on Stampin' Dimensionals so that it would sit up over the pretty DSP and stand out. I used Everyday Enchantment (now retired) on the first card and Eastern Elegance on the second card. I also stuck them onto the flap of the envelopes that I made using the Envelope Punch Board. 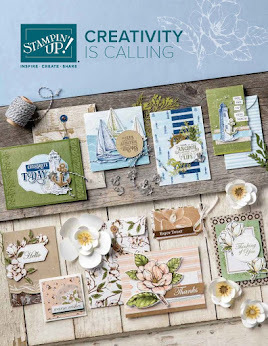 The sentiment is from the Good Greetings Hostess set and is stamped in Strawberry Slush and Indigo Island inks. To finish off I coloured rhinestones with the coordinating Stampin Write Markers. Did you know you can colour our rhinestones any SU colour you like with the marker pens? So cool!! Don't forget that all through my post I have linked the products to my shop so that you can see them in an instant and buy them to make your own little cards. I never mind if people copy (or "CASE") my cards, just leave a little note of acknowledgement in your online post. Like I am now for the talented Jill from whom I got the inspiration for this card. Massive thanks, Jill!